A huge CCTV tower stood in the entrance to Secret Cinema's incredibly ambitious production of Terry Gilliam's Brazil. 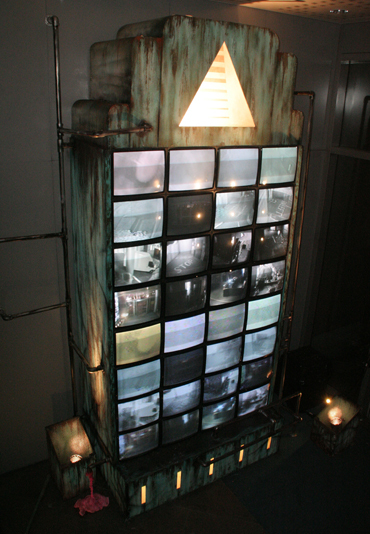 Our enormous 5.5m tall tower of CRT TV wall displaying realtime CCTV from around the building, built into a custom made art deco set was the dominating and eye-catching foyer centrepiece. 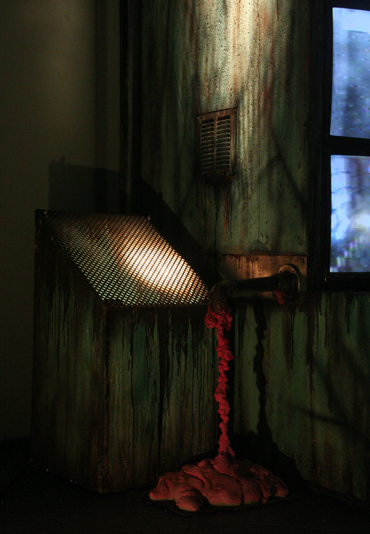 Built over the course of a few days, this video installation took 16 channels of CCTV video footage from the building's security room and rerouted them to our CCTV tower, and sent each video feed to a different TV. 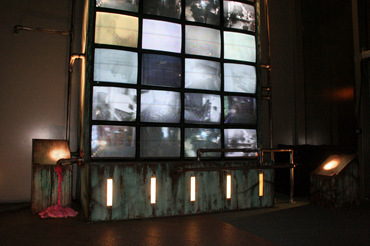 Meanwhile at the welcome desk, the "security" all played by actors, could switch over the video feed to the video wall fro the CCTV to a small webcam pointed intrusively at the face of visitors, imitating one of the scenes from terry Gilliam's Brazil. 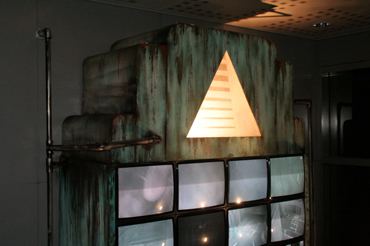 We designed a dystopic, art-deco inspired structure to house the CCTV wall of TVs, complete with rusty pipes, and a backlit logo of the intimidating fictional corporation who ran the building.